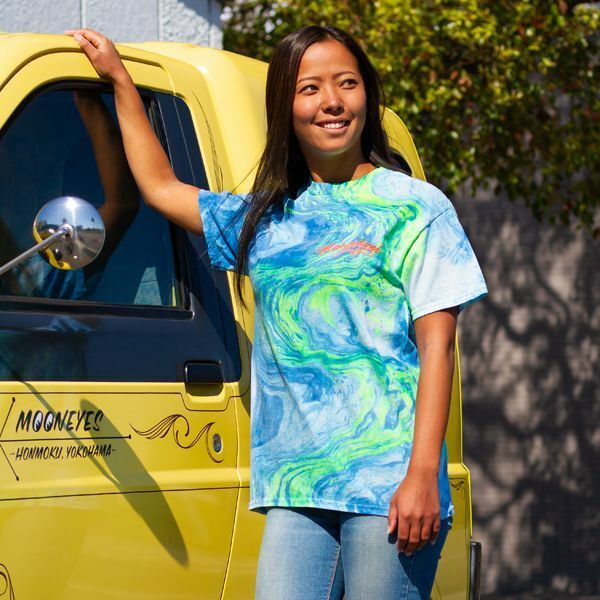 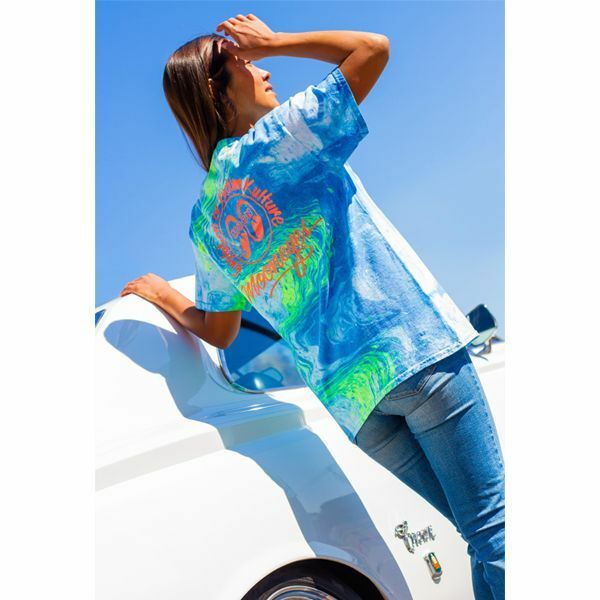 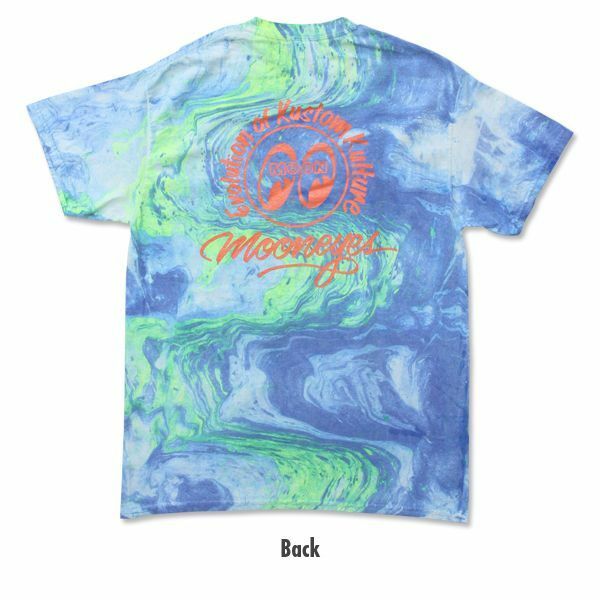 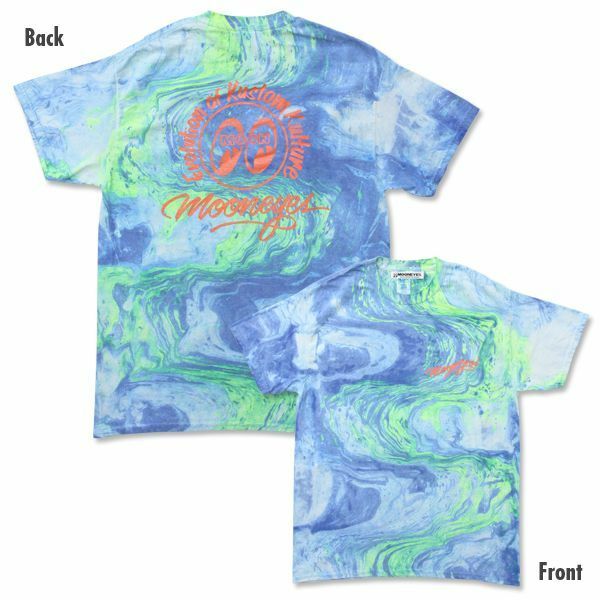 CQQL LQQKING marble pattern tie-dye t-shirt. 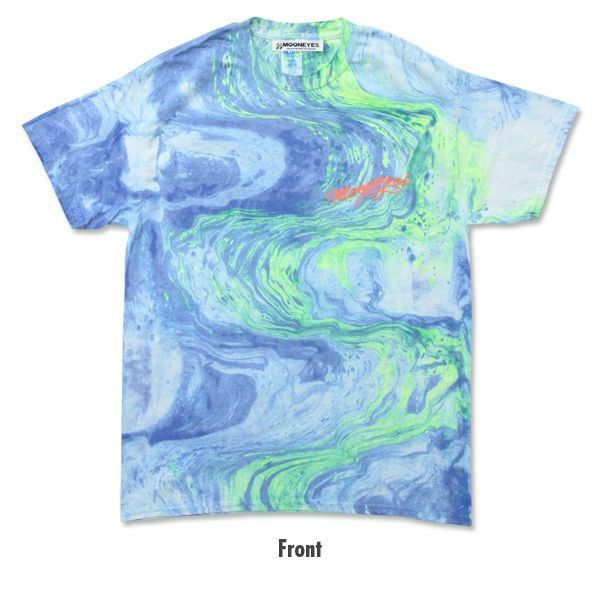 It is accented with blue and green marble pattern that is different for each one. 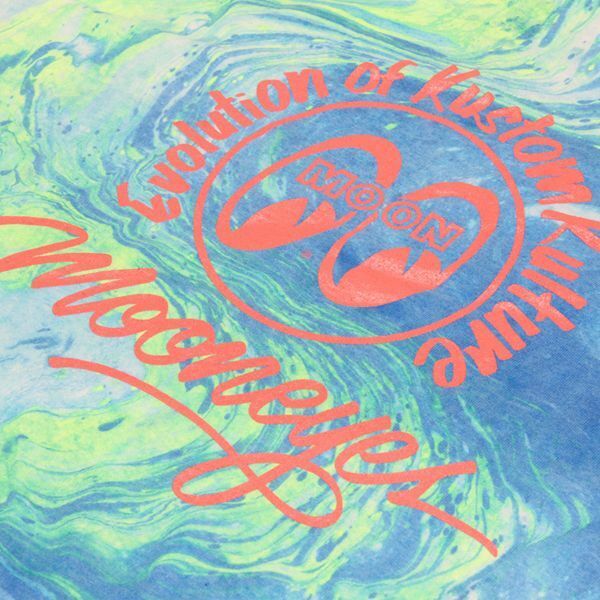 on the back “Evolution of Kustom Kulture” wording is surrounding the Eyeball logo. 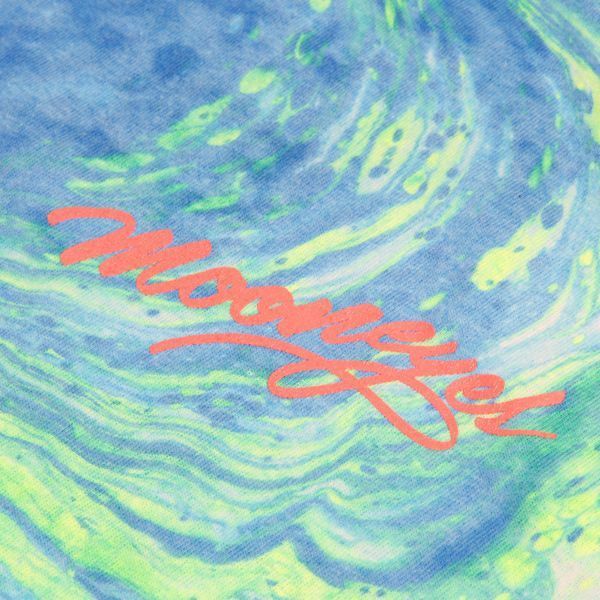 ※Please note that, each of the tie-dye pattern is random so, it will not be same as the image.